Leslie Lederer will serve as interim CEO of Verso. April 11, 2019 - Verso Corporation today announced that B. Christopher DiSantis has stepped down as President and Chief Executive Officer and member of the Verso Corporation board of directors effective as of April 5, 2019. 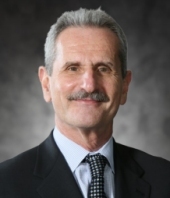 Leslie Lederer, former chairman, interim president and CEO of Catalyst Paper Company, has been named as interim Chief Executive Officer as of April 5 in order to ensure a smooth transition until such time as a permanent CEO has been identified and retained. Verso's board of directors intends to undertake a robust succession process to find a successor for DiSantis, including a search process that will include internal and external candidates.